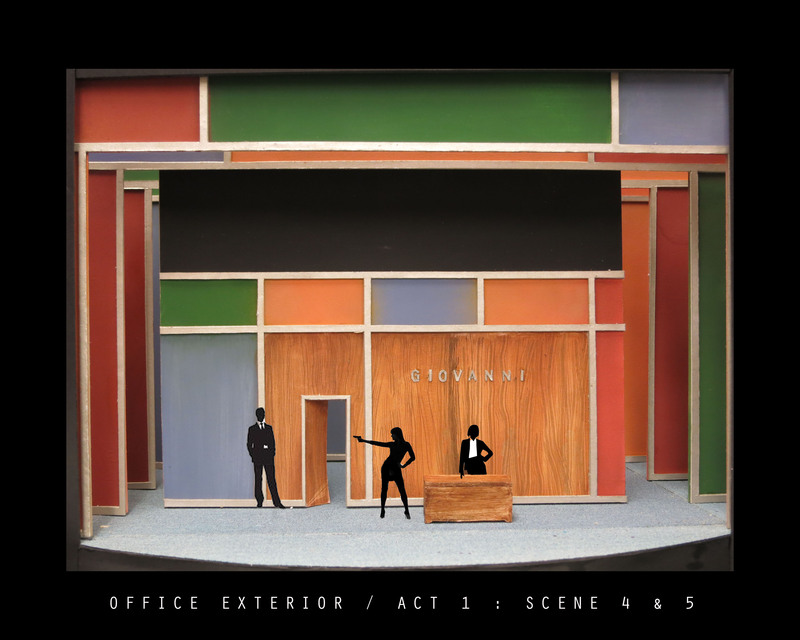 This version of Don Giovanni takes place in the 1960’s in an office building. Don Giovanni is the CEO of this company, and pursues every woman in it. The Commendatore owns the company. Leporello is Giovanni’s personal assistant, always covering up for his absences in meetings, or replenishing his bar cart in his office. 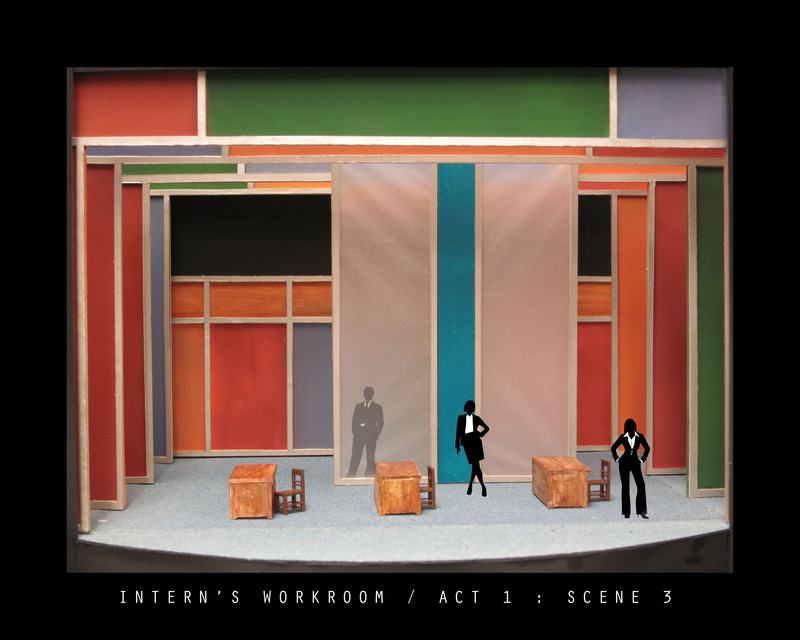 Donna Anna treats the office as her home, as she is the daughter of the owner of this company. Donna Elvira wants revenge from Giovanni as she used to be his lover. Zerlina and Masetto are interns and receive no privacy when they work. Don Ottavio is a loyal employee of the company, and is deserving of a raise. He met Donna Anna through his time with the company. 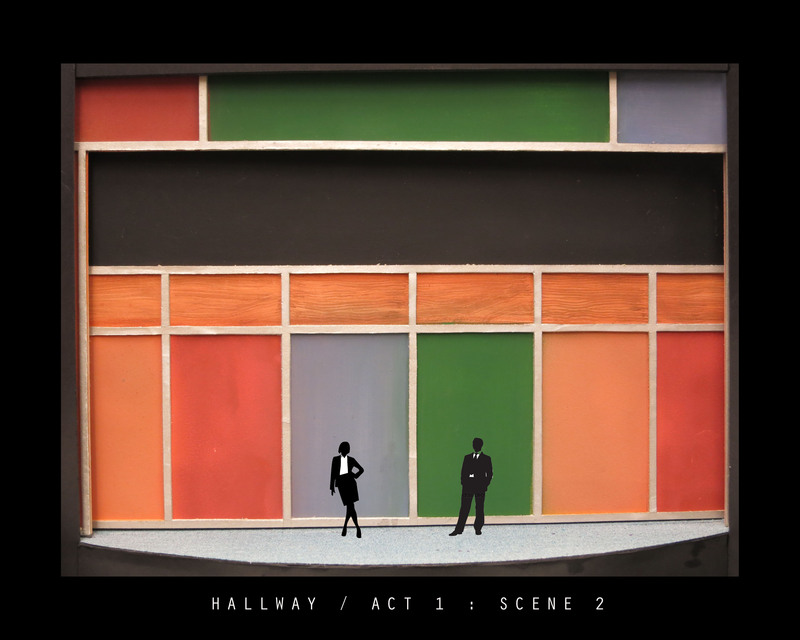 Each scene has theatrical moments that transform a dull office into an operatic event. 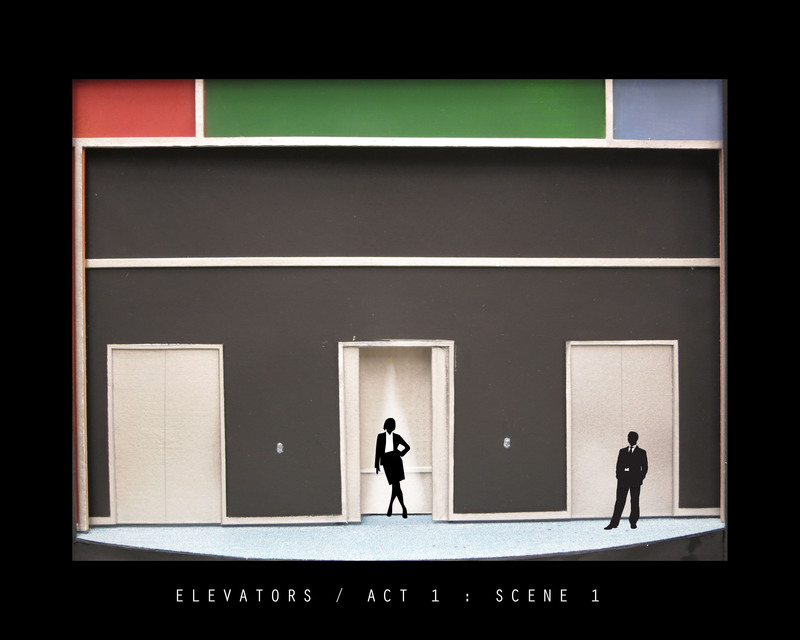 The opera begins in the lobby on the main floor, where Don Giovanni pushes Donna Anna into the elevator to pursue her, while sending the elevator up. 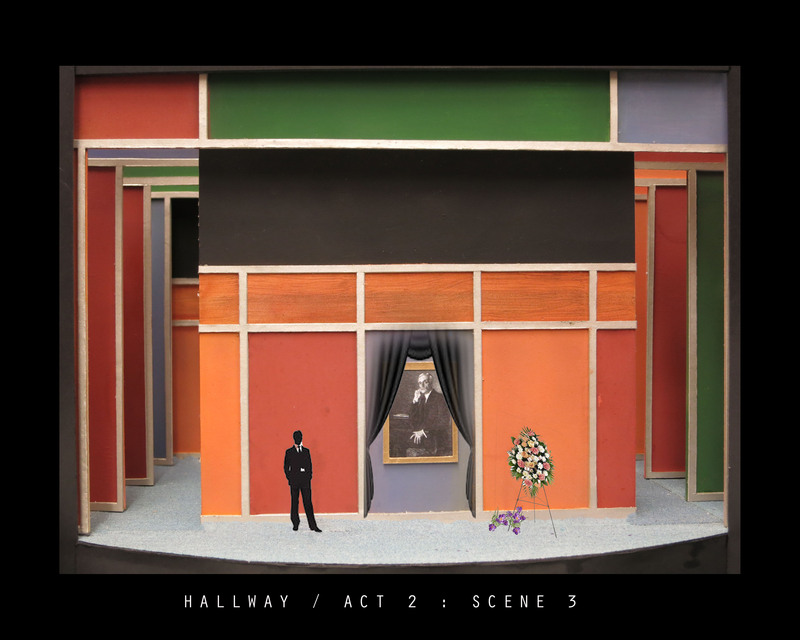 The Commendatore stops the elevator from moving, when Giovanni grabs him, kills him in the next elevator, and pushes the button to go up. 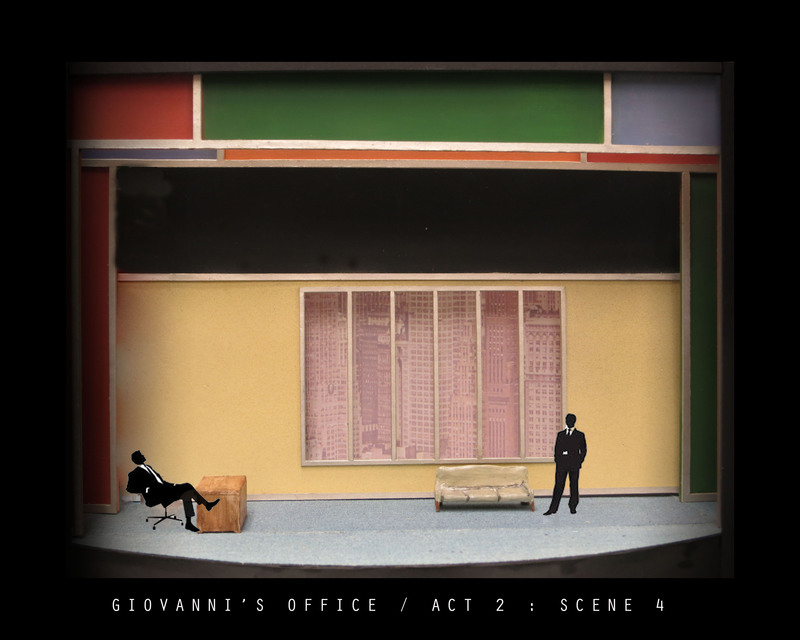 Each scene has a sparking moment between characters, following Giovanni’s pursuit into his own tragedy. 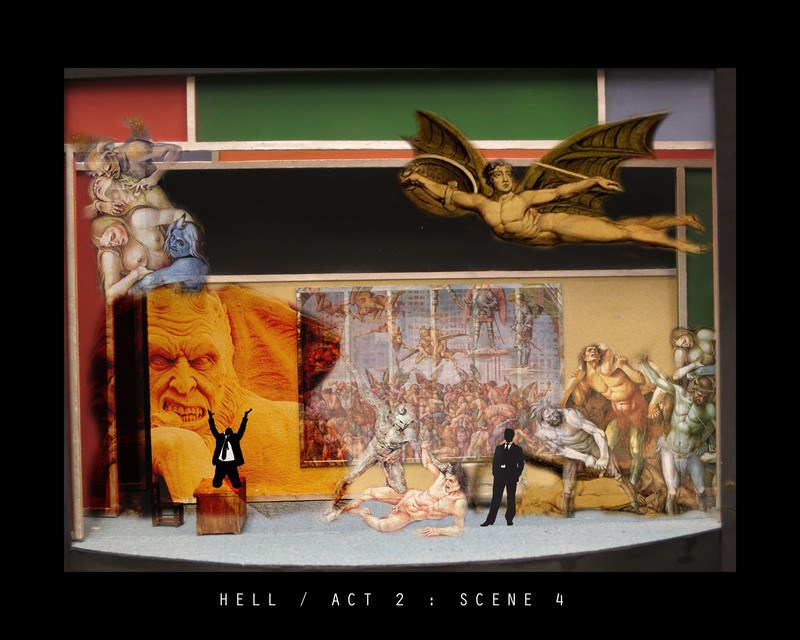 Eventually, hell is erupted in his office, where the Commendatore is revived from his memorial portrait and sets Giovanni’s office into flames. Hell is represented by different interpretations of Hell in art. Demons are seen through the office window falling from the sky, projections of medieval abstractions of hell are echoed throughout the stage. 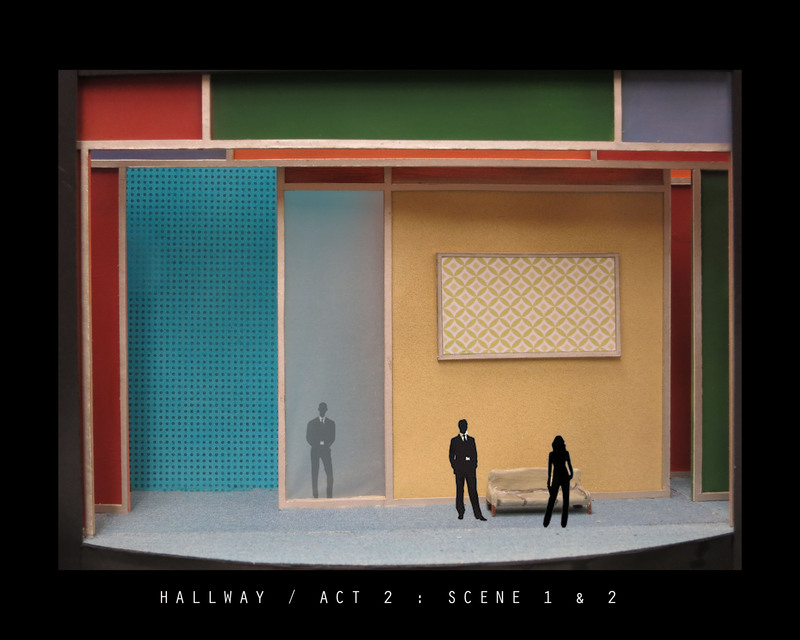 In this version of Don Giovanni, Hell is nothing but a figment of interpretation to the audience, yet to Giovanni it is the ultimate peril of his fate. Contact me anytime, let's work together.